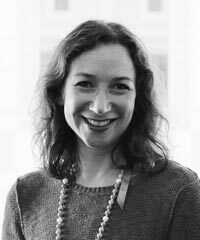 Elisa Niemtzow leads BSR’s consumer sectors practice globally. Her role includes working with companies in the retail, consumer packaged goods, footwear, apparel, hospitality, and luxury industries to improve the sustainability of their operations and products. To achieve this goal, Niemtzow helps companies rethink issues, such as sustainable consumption, supply chain management, strategy and integration, stakeholder engagement, and reporting and communications. She also coleads BSR’s Sustainable Lifestyles Frontier Group. Prior to joining BSR, Niemtzow was principal at Sequoia Lab, where she advised leaders of corporations, start-ups, and NGOs on sustainability strategy and communications. Before that she managed multimillion-dollar accounts as a ready-to-wear executive at Chanel.